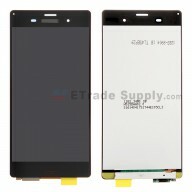 •	This item includes the LCD, digitizer touch screen, front glass and front housing already attached. •	This product does not include an adhesive. •	This item is 100% OEM manufactured and assembled. •	These parts are hermetically attached, special tooling is required for assembly or disassembly. •	These parts are attached with a border adhesive. Dust free precautions should be taken before installation. 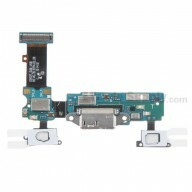 •	The flex cable is very sensitive and is easily damaged. Handle carefully. •	The installation of any new part should be done by a qualified person. ETS is not responsible for any damage caused during installation.